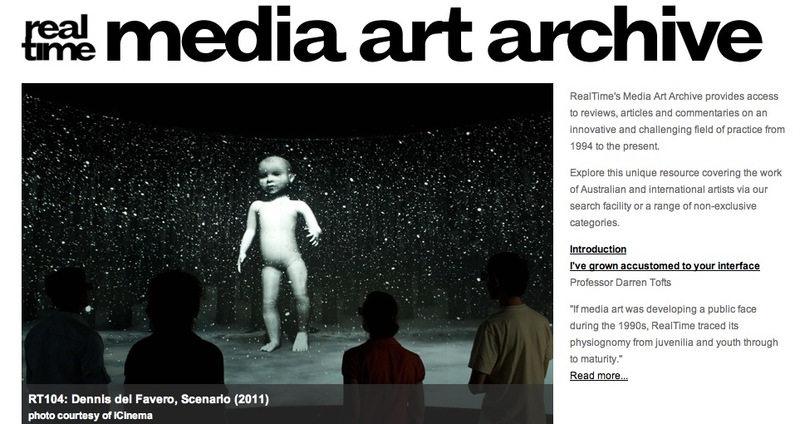 RealTime’s Media Art Archive provides access to reviews, articles and commentaries on an innovative and challenging field of practice from 1994 to the present, with an introduction by Professor Darren Tofts. Explore this unique resource covering the work of Australian and international artists via our search facility or a range of non-exclusive categories. The establishment of the RealTime Media Archive has been supported by ISEA2013 and the College of Fine Arts (COFA) University of NSW.